Is Bank Of Trade A Good Or Bad Binary Options Broker? Based in the Marshall Islands, Bank of Trade is a new binary options trading platform, owned by a holding company called Intelligent Entertainment Corp. The firm made their debut into the binary industry earlier this year. Working with experienced individuals in the financial sector as well as the legal sectors, Bank of Trades’ aims are clear. They intend to provide their clients with the most advanced and up-to-date technologies offering a user friendly and comfortable environment. Recognizing that their clients come from all over the world, Bank of Trade offers support in as many languages as possible. These include Arabic, English, French, German and Russian. Although the list of supported languages is impressive when compared to some of the leading brokers, we hope in due time more languages will be accommodated. Customer support is pretty impressive at Bank of Trade even though they are young contenders. To establish the quality of a brokerage firm a potential client need only contact their customer support through email, live chat or phone. It’s recommended to have a list of questions or queries and the level of response as well as punctuality of response can be good indicators in which to test the quality of a brokerage firm. 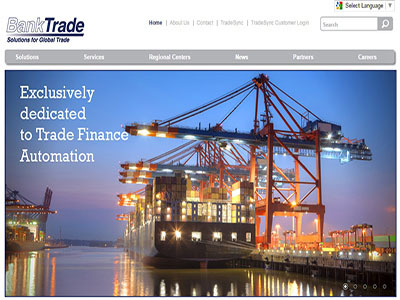 Bank of Trade is using the SpotOption Gen 2 platform. This platform is not only popular among brokers and traders alike but is also easy to use and has a proven track record for its efficiency of use. The platform also allows traders to extend the expiry time of their trades with the “Rollover” feature for a small premium. And if they feel optimistic about their trades, they can also choose to double their investments with the “Double up” feature. The range of underlying assets currently covered by Bank of Trade currently number around 58 different types of assets covering commodities, currencies, equities and indices. Together with the different types of trading contracts provided by the broker, traders have close to 200 different combinations of trades to choose from. With the exception of free trading signals and the percentage of welcome bonus offered, all the accounts enjoy the same benefits. The payouts range up to 87%. However, this will also depend on the assets as well as the type of trading contracts traded. Nevertheless, what they offer is still a few percentage points higher than what most other brokers are offering.